Like most anthropologists, I enjoy rituals. I find them intriguing, fascinating, culturally interesting and lots of fun. 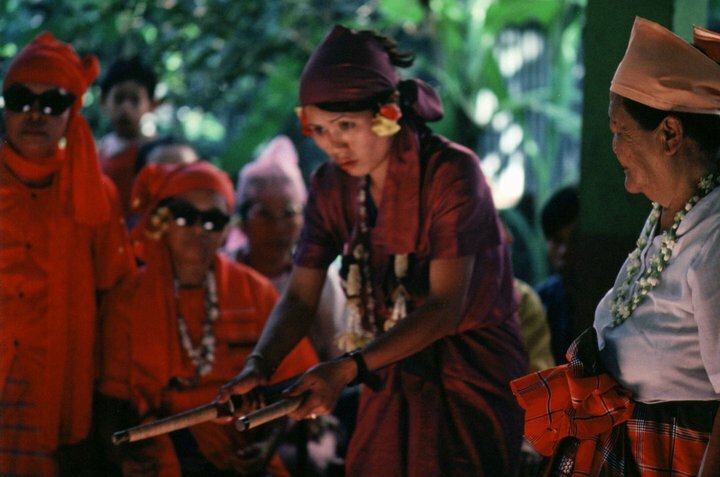 Every year in the village where I practiced fieldwork in rural northern Thailand, in the season between the cold and the hot, an amazing ceremony honouring ancestral spirits takes place involving dozens of women who dance in trance for days. This ceremony is known as faun phii (literally meaning Spirit Dance or what I have renamed as Trance Dance). Although spirit possession during the numerous trance dance performances that I witnessed predominately involved women, it is not a phenomenon that excludes males (as evidenced in the video below). I’ve written a couple of academic articles about this ritual which I will reference at the end. 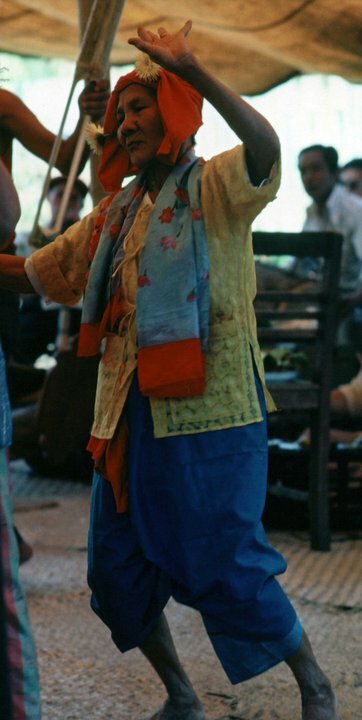 Here it will suffice to give only a brief description of trance dancing to accompany a small collection of photos I took during my fieldwork in the early eighties. The photos are not the best quality owing to their age and digital post-processing. Back then, a heavy camera with lots of heavy lenses made photography far too cumbersome for a amateur like me. (I also carried around a Walkman and a bag full of blank cassettes – a valuable asset for fieldwork at the time). 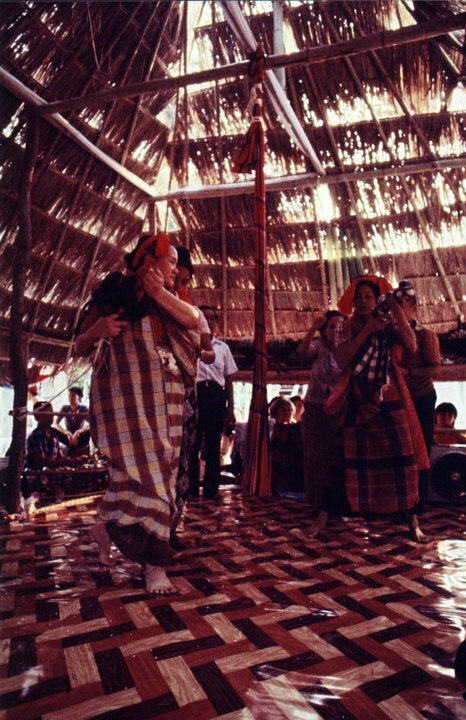 Trance dances usually occur as a result of a vow or contract (kae bon) made between a cult group member and their ancestral spirits (phii puu yaa). 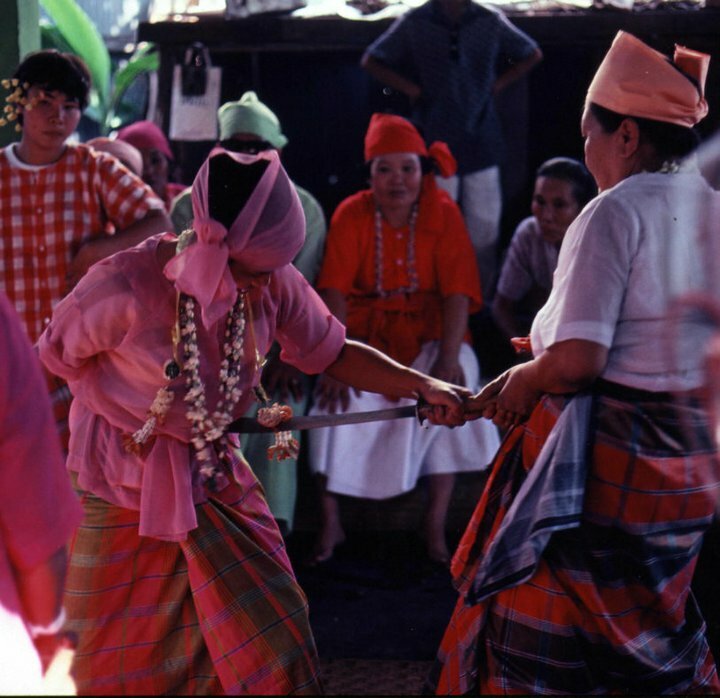 The dances attract large numbers of spectators from amongst clan members and local villagers, as well as curious anthropologists. The first day of the ceremony is called Day of Preparation (wan daa). 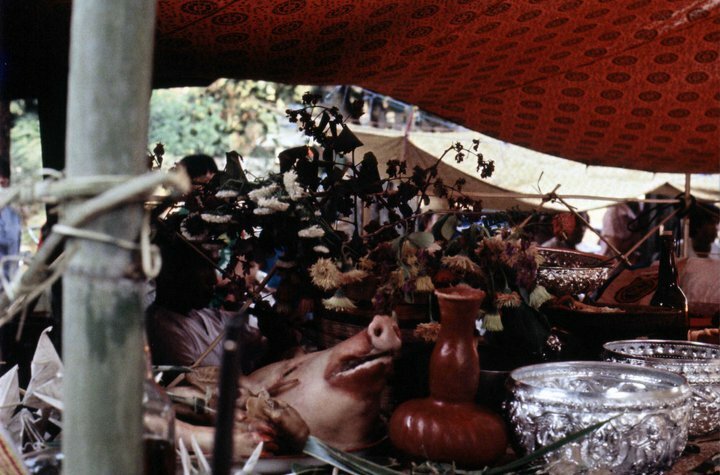 On this day, the preparation of offerings and the construction of the special trance dance pavilion (param) takes place. 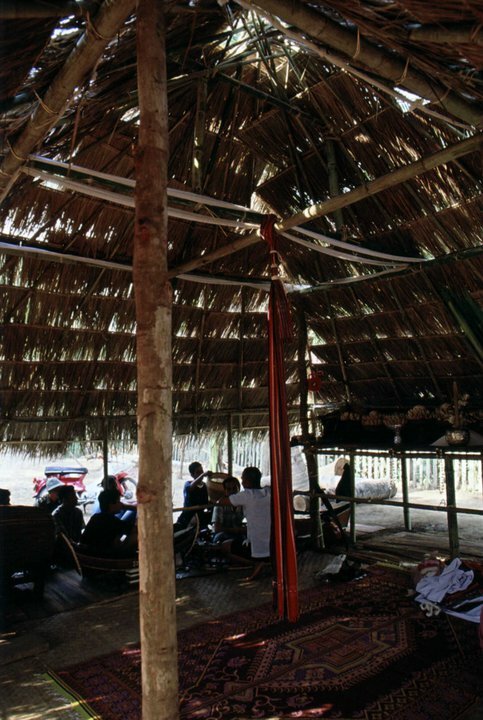 The pavilion, carefully crafted in bamboo with thatch roofing, is normally built in the compound of the custodian host of the ancestral spirits. It’s constructed in the shape of a four-sided pointed hat using a total of 62 bamboo poles in the structure: 6 posts in the centre representing the 6 senses, 32 posts symbolizing the 32 parts of the human body and 24 posts representing the number of Sangha meetings in Buddhist history. 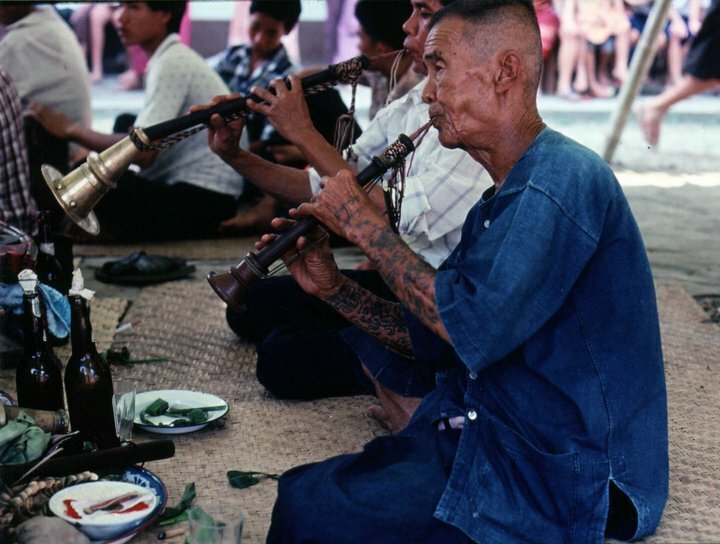 Just prior to the completion of the spirit pavilion before the end of preparation day, the ancestral spirits will be invited to the party at the spirit house (haw phii) with a selection of offerings by the master of ceremonies. The guest list of spirits include: the family ancestor spirits (phii puu yaa), spirits of the spirit house (phii haw), spirits of the family house (phii hyan) and spirits of feudal princes (phii chao). On the second day, the real fun begins. 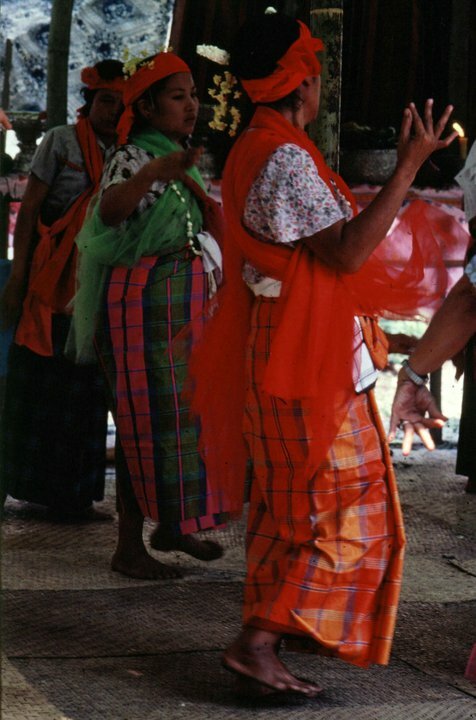 As spirit mediums (ma khi), they will dance non-stop, consume endless amounts of alcohol, smoke cigars, hold consul with various family members and perform numerous ritual duties in the form of specific rituals designated by the ancestral spirits during the entire 3 day ceremony. In the Northern Thai dialect, the word for spirit medium – ma khi – literally means to “ride a horse”. 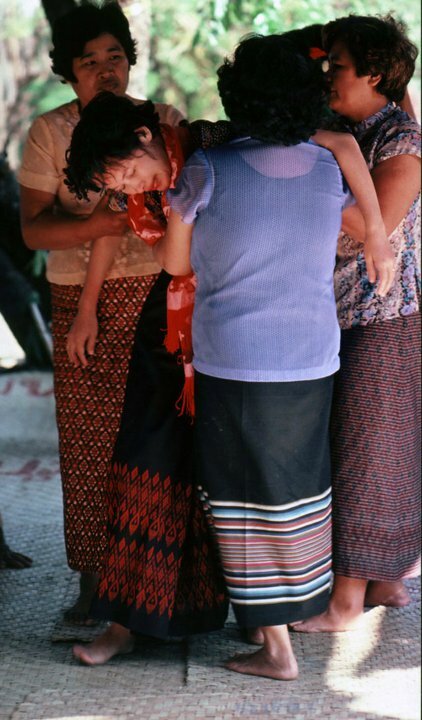 The ancestral spirits are believed to “step down” upon the shoulders of their human hosts as if mounting a horse. When asked what they remember before becoming possessed, mediums can only recall a loud slapping noise in their ears. Once the spirit has taken possession of it’s host, the medium is assisted by others to change clothes according to the costume appropriate for that particular spirit. 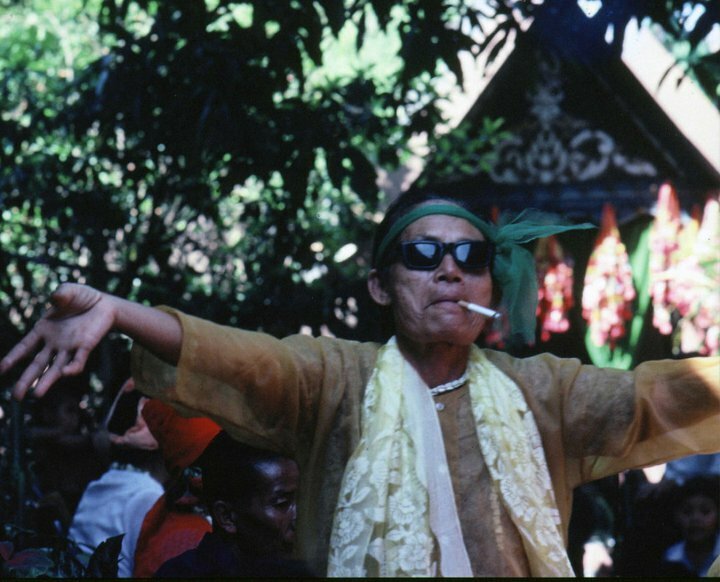 For example, the medium for the Spirit of the White Cloth, an ascetic, wears a white sarong, blouse and scarf. 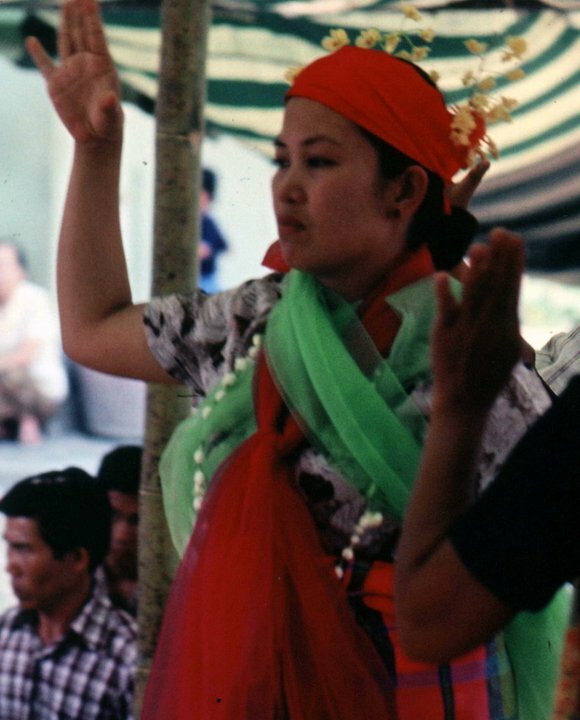 Other mediums are more brightly attired in clothes resembling medieval feudal lords – Mon or Burmese. A mild mannered trader by day turns into a feisty spirit medium! Once possession has occurred and costumes have been assembled, the mediums begin to dance in a slow rhythmic manner to the melodic sounds of a traditional northern Thai Gamelan orchestra. The mediums then invite members of the audience to join in and the trance dance party begins! The various ritual performances and what they mean have been explained in great detail in previous publications and hence will not be repeated here for they are numerous and complex! Since the advent of YouTube , I am able to simply transport you into an actual trance dance now! I have changed my theoretical stance on this issue over the years. I just got caught up in the whole predominate kinship paradigm of the day! 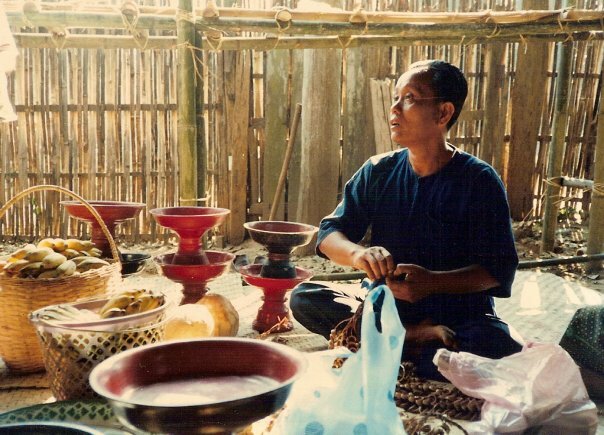 This entry was posted in Culture, THAILAND and tagged ancestor spirits, ancestral spirits, Lampang, Northern Thai ancestral spirits, Northern Thai anthropology, Northern Thai culture, Northern Thai rituals, Northern Thailand, spirit medium, spirit possession, trance. Bookmark the permalink.